An October vigil is held one week after the mass shooting in Las Vegas. Newly unsealed documents reveal details of the early stage of the investigation. In an interview with CBS This Morning, Haig says that police found an Amazon box with his address inside the Mandalay Bay hotel room from which Paddock sprayed the crowd at a country music festival with bullets and then took his own life. "He told me exactly what he wanted," Haig said to CBS. "I handed him a box with the ammunition in it, he paid me and he left." He said that he sold 720 rounds of tracer ammunition to Paddock and that Paddock said he was using it for a light show. The ammunition leaves a trace of light when shot. Haig said he had only spoken to Paddock three times. "I'm still wracking my brain for what did I miss? Why didn't I pick this up?" Haig told CBS. Haig has since shut down his business. He told The Associated Press that he plans to hold a press conference later this week. What's unclear is whether Haig was only flagged as a person of interest in the early days of the investigation or whether he remains a person of interest. He is the only other name in the documents besides that of Stephen Paddock's girlfriend, Marilou Danley, who authorities now say will likely not face charges. Police and the FBI wouldn't comment, citing the ongoing investigation. But Clark County Sheriff Joe Lombardo has made it clear that he believes Paddock acted alone. He has also said there may be unspecified federal charges coming for an unnamed person. The documents released on Tuesday show that police originally believed Paddock didn't work alone and were searching for accomplices. 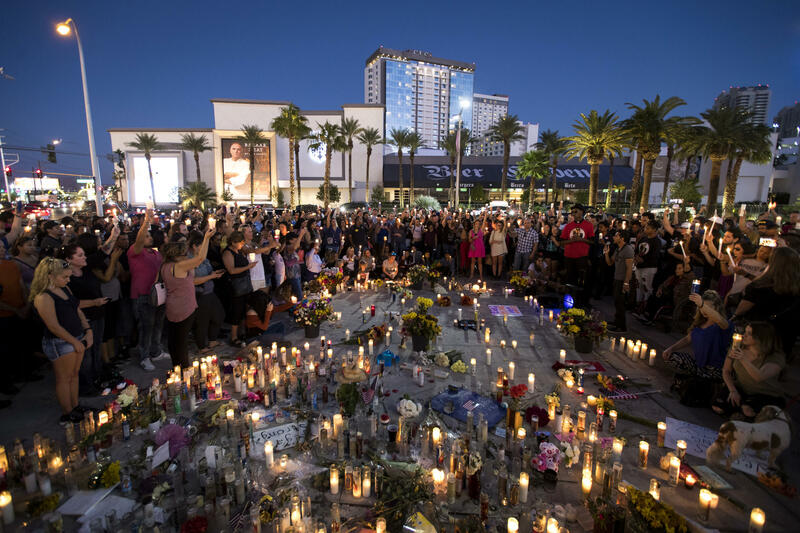 But they still gave no hint of why Paddock amassed so many weapons and then used them to fire into a crowd of more than 22,000 concertgoers on the Las Vegas strip on Oct. 1. The warrants repeat much of what was already in a preliminary police report released on Jan. 19 by the Las Vegas Metropolitan Police Department. Investigators found 23 rifles and a handgun in the two rooms on the 32nd floor that Paddock was in. They found rifle cases, binoculars, a scope, a portable solar generator, 1,050 empty bullet casings, and a vase and flowers Paddock bought from a Walmart.